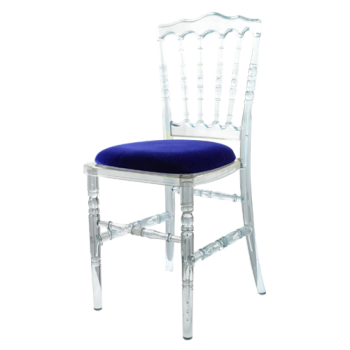 For instant impact, the Ice chair cannot be beaten; transparent, contemporary and very fashionable, this is the perfect chair for a modern chic wedding or stylish event. For even more effect, create a magical feel to your event by clever coloured up lighting and your see through resin Ice chairs will transform the room. As well as being a smart elegant option, this is a versatile chair with interchangeable seat pads in 6 colours, is comfortable and can be stacked.